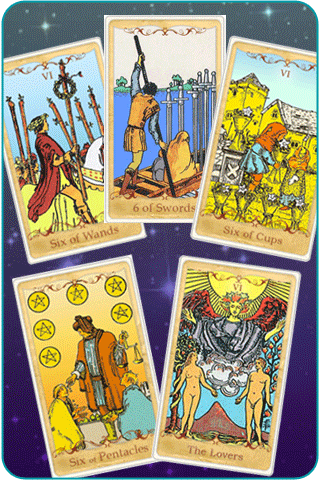 Six cards in the Tarot deck feature the number six. Each of the suits has a card with this number. 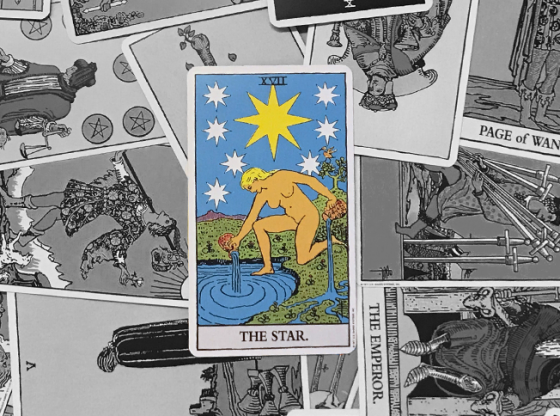 After the Sword, Cup, Wand and Pentacle sixes, the two Major Arcana cards with this number are, The Tower (numbered 16), and the most powerful card carrying this number, The Lovers (numbered 6). Sixes reflect one’s journey toward harmony. There are three parts to this concept. The first is that, in order to take a journey, one must begin by leaving. 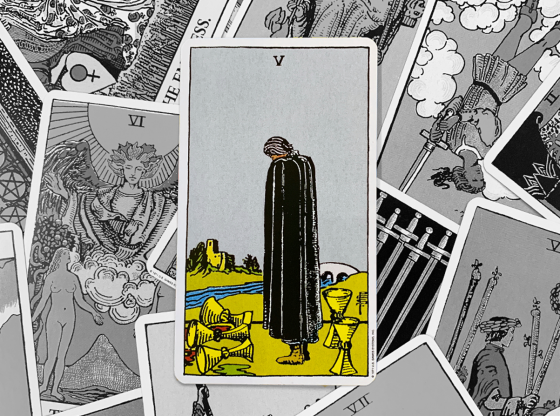 Sixes are cards of departure. The second part is the journey itself. 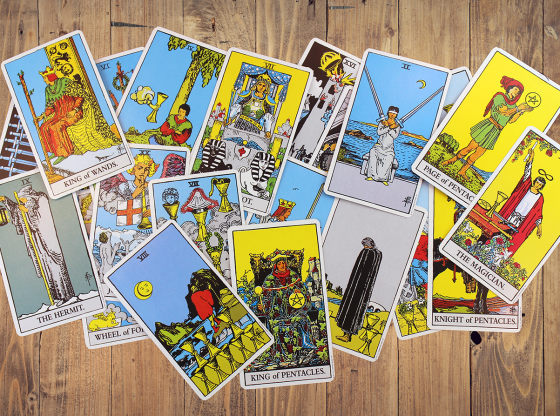 Sixes are cards that remind you to live in the present as you move through this transition. The third part of the concept summarizing cards with this number is harmony. 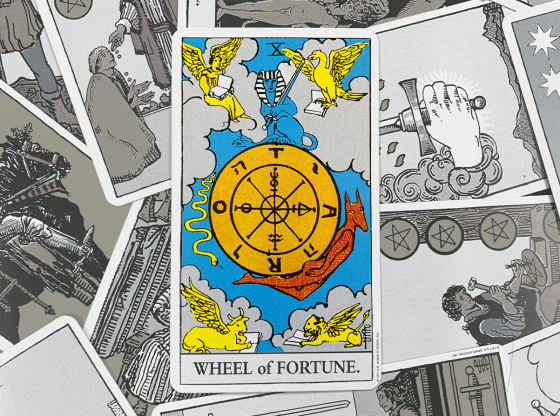 When a card with the number six appears in your Tarot reading, the outcome will be harmonious. 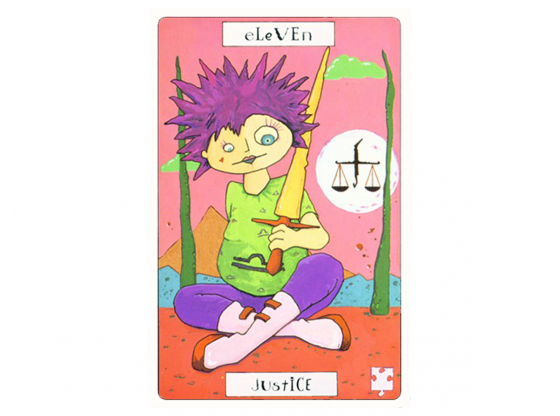 Each card with this number carries specific meanings that come alive when the energy is unleashed. 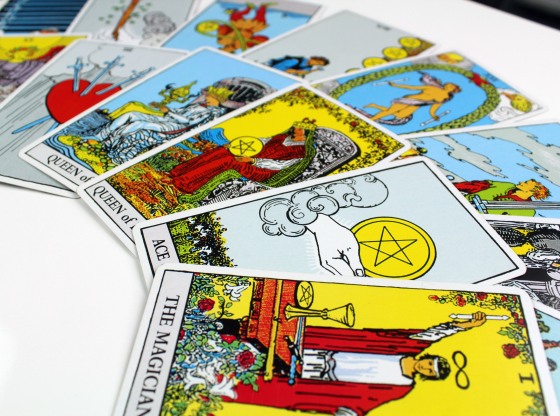 Read on to see how your journey toward harmony will be revealed when a Tarot card with the number six is placed before you. 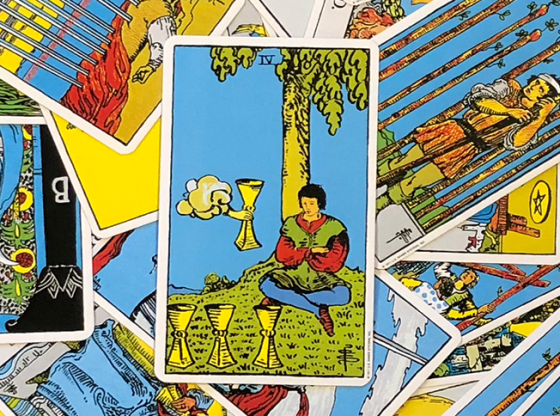 The reflex in many people receiving a Tarot reading is to immediately think that this card is predicting a love relationship. While this is usually the case, it is far from a simple partnership. This card depicts Adam and Eve in Eden, with the snake on the tree of knowledge nearby. The angel floating above them will guide them on the inevitable journey. We all have ideals when it comes to partnering up. Many relationships have tension because one or both partners are not happy if things are not how you think they should be. You will find harmony when, every day you are with your lover, you accept things as they are. 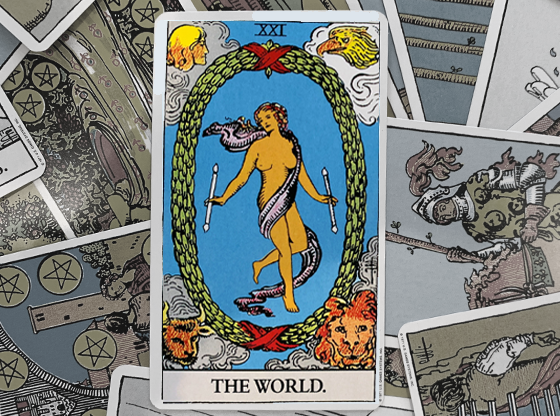 This is one of the Tarot’s most tense cards. It demands you realize that the journey is about to begin. 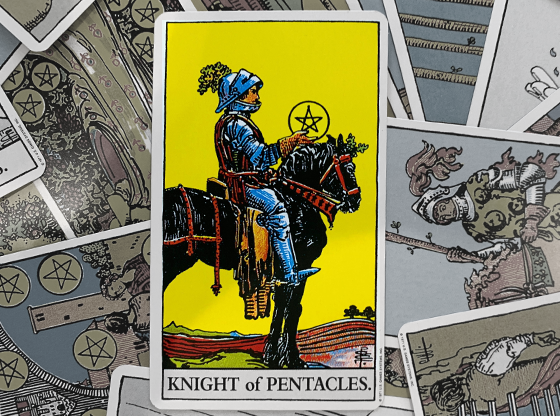 The tension from this card is usually in your resistance to changes that are inevitably arriving. The crown at the top of the tower is receiving the brunt of the lightning strike. This headpiece represents pride. You cannot find harmony when you retain deep pride. Once your pride is destroyed, you will realize that the journey toward harmony has begun. When you enjoy the journey, it is a sign of accepting changes in your world. This card illustrates a one-person victory parade. Wands represent creativity and this card indicates that you are responding to changes in your world with a creative acceptance of your fate. You are enjoying the journey, creating life’s inevitable harmony as you go. The validation of others affirms the things in life that are not part of the material plane. Working through the process is often more fun than completing the assignment. When you have an emotional attachment to some experiences, you want the journey to include as many possibilities as possible within the allotted time frame. This card represents putting off harmony with casual distractions. Are you with a man you cannot marry? Are you taking the semester off for the third year in a row? Playtime is nice, but dawdling eventually takes you away from your goals and dreams. Sometimes it is what is gone from our world that makes change inevitable. The journey tinged with sorrow may not be our choice, but we can still hope to find that balance of acceptance and comfort. 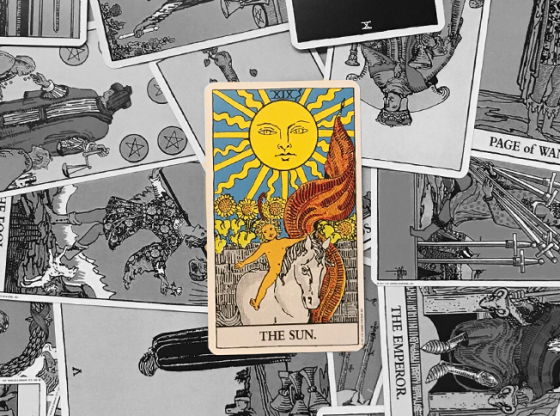 When this card appears in your Tarot reading, the parting will be more sorrow than sweet. And yet to fight it would be a prison. The boat illustrated on this card is taking you toward somewhere. It is time to move on. Out of tragedy and chaos comes the voyage of renewal. Money management is a major elevation of consciousness. To know when to give and how much to share — this is a level of wisdom that you are headed toward. Stingy people cannot understand why the world doesn’t love them. People who waste their money complain when it is all gone. This card indicates you are changing your relationship to spending in order to enjoy the material world more thoroughly because you will be doing so more responsibly.